What an amazing week. After meeting more than 150 VARs and managed service providers in Australia, I've got a much better feel for the emerging managed services market in the land down under. Here's a recap of my trip, along with some key trends from Australia's managed services industry. What an amazing week. After meeting more than 150 VARs and managed service providers in Australia, I’ve got a much better feel for the emerging managed services market in the land down under. Here’s a recap of my trip, along with some key trends from Australia’s managed services industry. The Market Opportunity: Estimates vary greatly, but I’d say there’s somewhere between 5,000 and 12,000 VARs in the Austalia market. I realize that’s a broad range, but companies come and go. And there are surely thousands of one-man shops that consider themselves VARs. Also of note: Since Australia has so many remote rural towns, it’s a good bet remote managed services will be even more popular (on a per capita basis) than in the United States. MSP Installed Base: I’d estimate Australia has roughly 500 MSPs running a range of remote monitoring and management systems and charging fixed monthly fees for their services. That figure might be a bit inflated, since many of the MSPs have moved to managed services platforms in the past 12 months and are still ramping up their fixed managed services models. 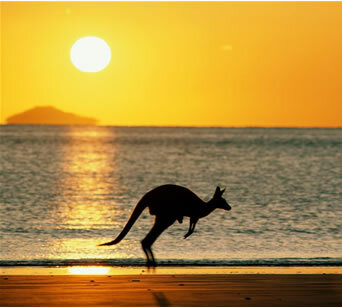 Mergers and Acquisitions: Yes, MSPs are buying one another in Australia. In fact, I’ve got details on a recent deal but I still need to double-check a few facts before posting a blog on that one. Smart MSP: Mathew Dickerson from Axxis Technologies and the author of Slam ranks among the best MSP-centric public speakers I’ve met. During the events I attended, Dickerson described his own transition from VAR to MSP, the errors he made, and his tireless focus on customer service. He’s the real-deal. Vendor Perspectives: I spent the week speaking at a series of Kaseya-Intel events in Melbourne, Sidney and Brisbane. My content offered a vendor-neutral view of the US market, but I also got a heavy dose of Kaseya and Intel perspectives all week. Admittedly, I need to reach out to other platform providers to make sure I have the complete picture on the country. With those disclaimers in mind, I did hear some compelling sales data. Tim Dickinson, Kaseya country manager for Australia and New Zealand, says the company has roughly 250 to 300 MSP customers in Australia. I know other MSP software companies are doing business in Australia. Just last week, N-able said 25 percent of their revenue comes from outside the United States — with a portion of that revenue coming from Australia. Still, Kaseya seems to be the most aggressive, most established platform provider in the country. If I’m wrong — or if someone would care to debate me on that claim — I’m all ears. To reiterate: I do need to make sure I offer full vendor-neutral coverage of Australia. If you’re an MSP software company or customer doing business in Australia, and you have different perspectives to share, I’m all ears.